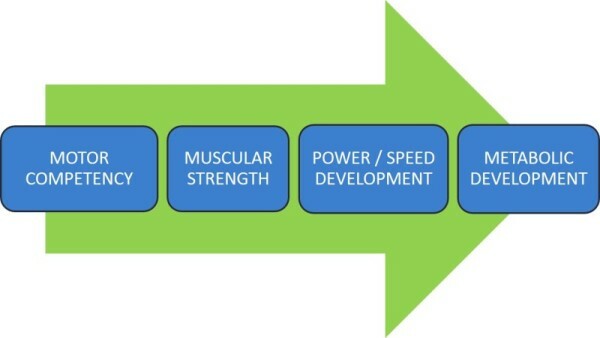 Why should an athlete employ an S&C coach? This week I am giving you a FREE presentation which answers the fundamental question- why should an athlete use an S&C coach? Who need’s an S&C coach? I’ve had the opportunity in recent weeks and months to speak to a number of coaches who work with athletes, whether they be Head coaches for a sports team, a Director of a Sports Academy or a Head of department of PE in a school. I have been speaking to them to see if they might be interested in working with APA to run some S&C sessions with their athletes. I have first sought to understand what some of the barriers are to being able to do this. There are two common barriers. On pretty much every occasion there has been some degree of reluctance to want to invest in strength & conditioning coaching with their athletes due to its cost. Often it comes down to resources available and I accept that not everyone can afford to pay for professional strength & conditioning coaching, particularly if they are already paying for sports coaching. But the cost of NOT investing in strength & conditioning could mean that your greatest ‘assets’ will get injured at some point in the future if you don’t take action. Even if you can’t afford to put a full-time coach into your programme I’d encourage you to at least get your athletes screened to see who might be more at risk of injury. This way you can do something about things before they happen. Closely followed by #1 is the argument that the athletes don’t have the time to invest in further coaching on top of an already full weekly schedule of school academics (if we’re talking about adolescents), extra curricular activities, all in addition to their sports teams commitments. This is a real issue if the athletes in question have commitments to their school teams, as well as local clubs and even county or regional teams they play for. It is even more so if the athlete is playing in several sports teams. Again, we can look at solutions to these challenges, even something as simple as training up the sports coach or teacher on how to run a high quality warm-up will go a long way to maximising the returns on a limited time and money budget. So it’s important that as the Director of an S&C company I can make a strong case for why they need to value S&C at a high enough level that they are willing to pay for it in some form. As I am so passionate about helping athletes realise their athletic potential I work very hard with whoever wants to work with us to come up with a solution that can achieve this. Below is a presentation which I would urge any athlete or programme Director to watch if you are wondering why an athlete should employ an S&C coach. I hoped you found this blog interesting and will challenge your thinking the next time you are thinking about employing the services of a strength & conditioning coach! http://athleticperformanceacademy.co.uk/wp-content/uploads/2015/05/15122014_GOSLING_COACHING_1843-e1437833989904.jpg 534 800 dazdrake http://athleticperformanceacademy.co.uk/wp-content/uploads/2015/05/APA-Logo1-300x156.jpg dazdrake2015-07-25 14:55:352015-07-25 15:02:31Why should an athlete employ an S&C coach? 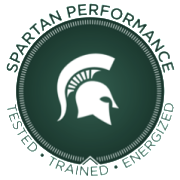 On Wednesday 1st July I had the opportunity to go to the University of Bath to listen to Joe Eisenmann talk about Spartan Performance, a programme which in collaboration with MSU SportsMEDICINE and Rehabilitation Medicine, provides an integrated, holistic approach to the care and training of mid-Michigan athletes, especially High School aged athletes. £4.50 a session based on attending two or more sessions a week. What I really like is that they make sure that every potential participant is assessed first following a written application, so they can learn something about the athlete first and then be put in the most appropriate group. Although we think of the US being years ahead in terms of advances in sport, Joe said it’s still pretty uncommon for practitioners to integrate. Most high school athletes will still be coached in the gym by a member of the teaching staff, usually and ex college football player. Even those that have access to sports medicine and sports coaching will usually go to different places to get these services and none of the practitioners speak to each other. 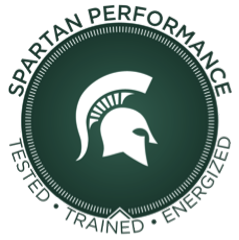 Because Spartan Performance is set up in collaboration with MSU SportsMEDICINE and Rehabilitation Medicine, it’s a programme on one campus where the different faculty experts from within the University are not only on one site, but they also integrate. Joe made the point of knowing the athlete’s cumulative workload- before they even train them. 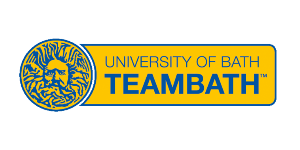 In addition to testing, both Team Bath and Sports Performance will ask athletes to fill out detailed questionnaires about their training history and current sports participation. This also means reaching out to their other coaches, as usually as well as going to Spartan for S&C they usually have school practice, team practice and often in more than one sports. Be prepared to turn athletes away from the facility IF they are already doing multiple practices, doing S&C elsewhere and are generally really busy. They do ask athletes to complete pre-session wellness questionnaires but they can have pros and cons. – athletes will cheat the system by falsifying the scores- it comes from the right place. They want to train! Therefore as stated before it’s better if you can be pro-active and speak to the other coaches of the teams and start to build up a picture of what they do elsewhere and be prepared to coordinate their weekly schedules. Typically there will be six athletes to a group and the groups will move through different zones on a 20-minute rotation. In each zone is a different station. As one group leaves the first zone another one enters. APA launch group S&C squads for athletes 11 and above. Inspired by my visits to Team Bath and hearing about Spartan Performance APA have finally been given the go ahead to open up the very successful strength & conditioning squads at Gosling Tennis Academy to the general public. Once only available to our elite Tennis Academy players we can now welcome new athletes from all sports. We are now inviting young athletes 11-16 years old into our APA 4-5pm S&C squads. We are also inviting athletes over 16 years into our 10:30-11:30am pro team squads. I think this is a great concept so please come along to Gosling Sports Park to take part. It is pay as you go, £5 for GSP members and £7.50 for non members. You can now book at reception. I’m been on the road for several weeks. Started at Excel Centre, London, then University of Hertfordshire, then Oakham School, Rutland, then University of Bath and I’ll be finishing my conference trip at the UKSCA Conference next month. Travel and networking isn’t for everyone, but I personally love the adventure of being at the ‘tip of the spear.’ I love listening to people speak at events, make new friends and catch up with old ones and most importantly bring back some tips we can put into the programme at APA and share with you reading the blog! In this blog I’ll go over the first three conferences I went to. I’ll follow up with my visit to Bath next time! This was the inaugural 2-day exposition, see the website Elite Sports Performance Expo. For me the exhibitors stands were the most enjoyable part. I find it hard to focus on the seminars and live demos when there are 1,500 people walking through the area- but that’s just me. I’ll be looking to work with some sports drink companies over the coming months so hopefully APA will be able to offer you some great deals with our partners. It was good fun getting a sweat test with Precision Hydration- I learnt I have a high sweat rate and need a higher concentration of electrolytes in my drink than most standard electrolytes. Enjoyed getting an intrinsic biomechanics assessment with Biomechanics Education. I learnt I have a functional leg length difference causing the foot of my shorter leg to flatten. HSP invited a number of active coaches in the region to a discussion of new developments to enhance coaching delivery in the region. This half-day conference wasn’t directly related to APA’s core business- working with athletes who want us to help them with their physical preparation for sport. It focused more on projects to increase participation in sports clubs, as well as ideas on how to help multi-sports companies get into schools. But I did learn that only 3% of sports coaches are Full-time according to the 2011 SportscoachUK survey. 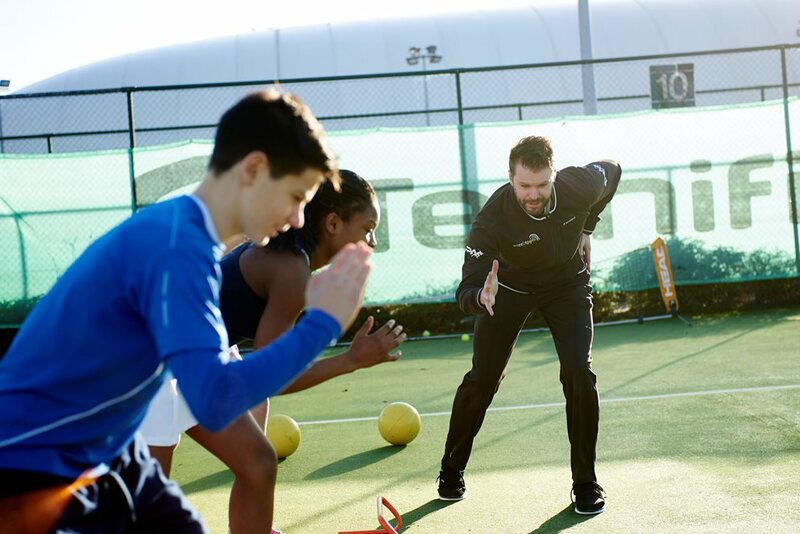 In that study they found that the majority of coaching takes place at a sport club or as part of extra curricular school activity (outside PE)……..but interestingly, the recent Active People survey by Sport England shows that the majority of sports participation is not taking place within clubs. So there is a lot of sport taking place without coaching! 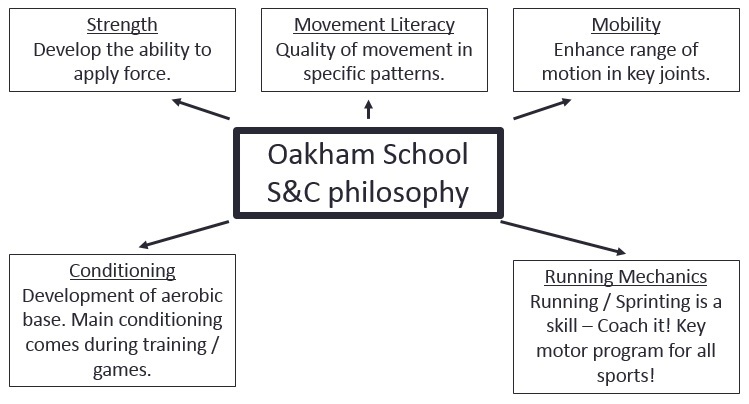 Glad to have been able to get to the very first one organised by Joel Tratt, Head of S&C at Oakham School. There was a really nice blend of presentations from both Joel and his Director of Sport, Iain Simpson, as well as two practitioners in the sports of Cricket and Rugby, by Daz Veness and Kev Mannion, respectively. Below is a selection of some of the key slides that grabbed my attention and a little about what was said about them. Only the other day did I retweet a quote my former colleague Julie Gooderick wrote, ”All sports require force expression, therefore all sports and ages will benefit from appropriate strength training.” It’s incredible the number of coaches, parents and even athletes who fail to understand the basic Newton’s Law of equal and opposite reactions. A lot of coaches relate getting strong to getting bulky and slow. What they want is to get their athletes fast and explosive right? 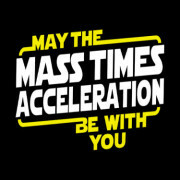 Well, assuming we put together a well designed strength programme that won’t get you bigger or more bulky, then if your mass stays the same and you get stronger, you get better at accelerating!!!! The Progressions that the athletes go through at Oakham exactly parallels the 6 Stages of Development we take our athletes through at APA. We represent the journey with a 3 level pyramid but it’s the same progression. The 5 levels refer to his progression of bodyweight movement skills which increase in difficulty starting with your basic squat/lunge/hinge/press up/inverted rows/plank movements. These movement skills then progress through five levels until at level 5 we are looking at unilateral strength qualities, olympic lifting progressions etc. These movement skills are are a constant part of the programme right from Under 11’s all the way to the pros- it’s just the complexity that is added to keep the movements challenging as they progress through the ranks. 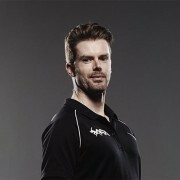 In terms of the muscular strength journey referred to above Daz goes on to explain exactly how he would progress beyond bodyweight skills for his 16 years and above Academy athletes whom he starts to introduce load to. Achieving 1.5BW determines progression to Level 3. Sets of 6-8 then Sets of 3-5 once 1.5BW is achieved. This kind of work lays a foundation for potential specialised programmes down the line. It’s another big myth in the sports performance community- that an exercise ALWAYS has to look like the sport action to transfer. The final goal of competition exercises in Olympic sports ”Citius, Altius, Fortius‟ – ”Faster, Higher, Stronger‟) may almost always be related to the capacity to express power produced by the speed of movements and by the force of overcoming external resistance. Consequently, the training process, focused on improving the sports result, could be defined as the process of increasing the power output of competition exercise. I have read a lot of the western interpretations of the Soviet training programmes. Sometimes the work of coaches like Anatoliy Bondarchuk and Yuri Verkhoshansky get misapplied to developmental level athletes. These coaches were delivering specific strength training programmes known as ‘special strength training’ to elite level Olympic track & field runners and throwers. For me the essence of all sports skills lies in the movement of the human body….and the efficient movement of the human body at that. All sport skills are just a combination of different basic motor tasks known as motor patterns put together to complete a sports skill. A generally dysfunctional body/motor pattern will translate into a sport specific dysfunctional pattern. I totally get that from both a biomechanics and biokinetics stand point we want to ensure that the forces we train in the gym are applied to a movement pattern that will translate to improved sports performance. Exercises can be chosen on the base of the Dynamic correspondence Principle and should get more specific when looking to develop power in later phases of training. But if the athlete has not yet acquired the ability to perform the patterns of movement that are the basis of all sports movements then we are missing the point. Get the basics right first. Understand where your athlete is on their journey and don’t be in a rush to work on the specifics if the foundations aren’t in place. 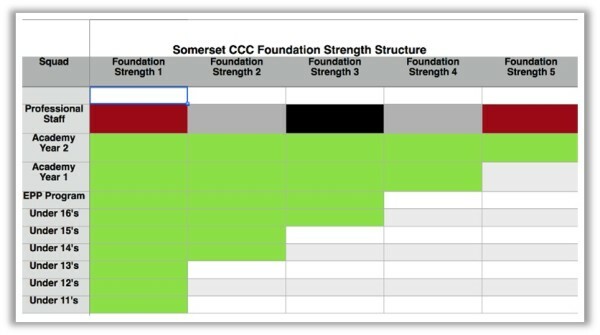 The green phases are competition phases. Leicester Tigers Academy run a split playing phase over 30 weeks. In competition phases rugby is a priority. As you can see they don’t play every week, there may be up to 9 weeks when there is no match. It just means there will be more exposures to rugby practice and less to S&C. Maybe 4-5 Rugby and 3-4 S&C. Once competition gets going they will replace higher volume hypertrophy blocks with lower volume high intensity maximal strength blocks. They will then revisit hypertrophy for a few weeks before another maximal strength block as the next competition blocks gets going. Compare this to a typical Independent schools competition and training calendar which starts in September off the back of a summer break. Is 17-19 school and Academy fixtures in each term with minimal preparation and a 10 week holiday ideal?? Er…….No. It puts massive emphasis on the student to follow a hypertrophy/strength programme while they are away from school- and this is less than ideal. However, could make an argument that school athlete’s over-play and under-train, and maybe vice versa in an Academy? ”Our focus was to introduce systems and processes with our 14-16 age groups that would allow us to have better co-ordinated, more athletic entrants to the full time Academy system.” Kevin Mannion. This allowed the coaches to get 50% of the session focused on S&C meaning that even if the younger athletes were only getting to train with Leicester for one training session per week they ensured that they still got some quality exposure to S&C by implementing movement skill stations between the sport skills stations.